​I was raised in the beautiful Shenandoah Valley in a town of 2000 named New Market, Va. I learned how to can, bake and cook from my Grandmother who lived an active life for 91 years. We grew our own food and preserved it. Wild Raspberries grew in an inactive quarry behind her house. I still brave the thorny bushes to harvest the raspberries for my jams. I began again in earnest a few years ago when my uncle, who was going through cancer treatments, craved canned tomatoes. We teamed up and he would peel and prepare and I would work the hot water canner. In 2010 my sisters daughter was having a September wedding with 300 of her closest friends and family, thats when I offered to make wedding jam favors for her wedding. Wow! The raspberries were prolific that year so we all picked and I made 300 4oz jars of jam, they decorated in her colors and a unique wedding favor resulted. As I was keeping the stove hot and I mean hot it made me admire my Grandmother and those who have gone before did this without air conditioning, friends in the area offered fruit from peach and pear trees, blackberry bushes as well as plums. So i used them all and became a jam making machine one small homemade batch at a time. With encouragement I entered an assortment of jellies and jams into the Shenendoah Co. Fair and won 4 Blue Ribbons then went to state and between 2010 and 2011 won 8 more blue ribbons. 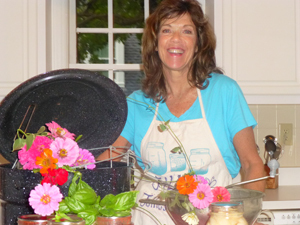 Encouraged by such awesome feedback I decided to start Jill's Jellies and Jams offering amazing gourmet jams. After college I worked in Sales for Xerox Corp., Johnson and Johnson, and Learning International a Times Warner Co. When the boys were little I went to Pharmacy school and I had horticulture interests also. I was looking for my resume and found the results of a survey of careers that would fit my interests. Sales, Horticulture, Cooking were among the top and growing fruit making jam and then selling them sounded perfect! I bought a book about how to start a business in Virginia. I searched data bases to see if the name of my business was available, went to the County office and registered and obtained a business license for Jill's Jellies and Jams. I have been building relationships with farms and individuals happy to have the fruit used and not wasted. I even passed a church with pear trees and the pastor allowed me to glean them. So my products feature the fruitful bounty from Virginia and fresh makes a difference. I use fine grained pure cane sugar never corn syrup or artificial flavors. 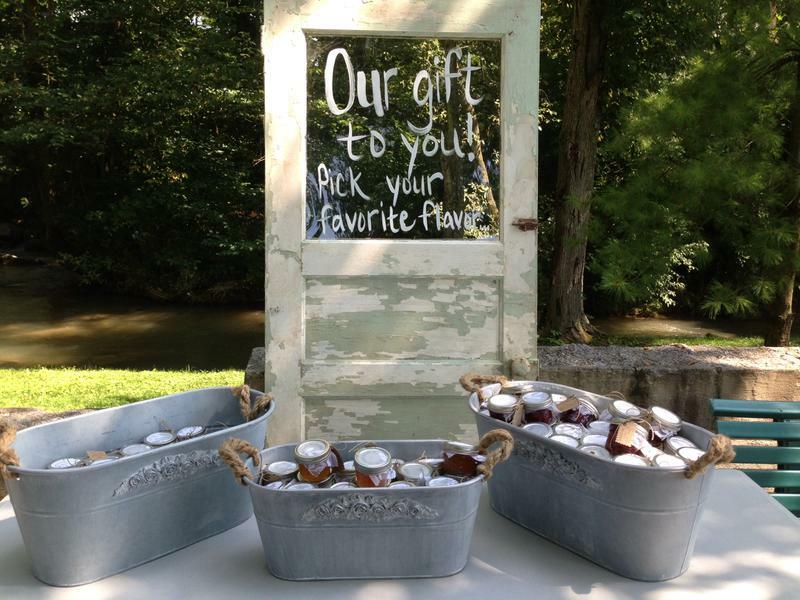 Also all my products are naturally gluten free, and make perfect wedding favors and Virginia gifts!